Serious crime in West Hollywood was up 25% in the first six months of 2018 over the same period last year. 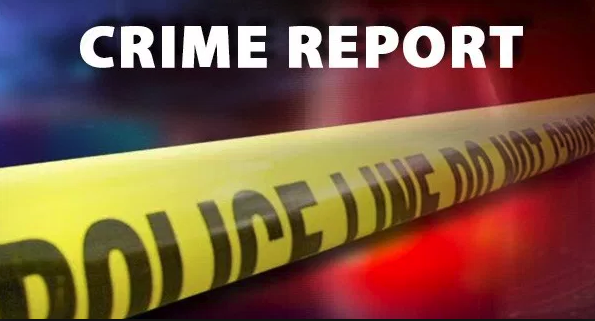 More than two-thirds of those crimes involved larceny and theft, and there was a 23% increase in non-serious crimes such as vandalism and drunk driving. 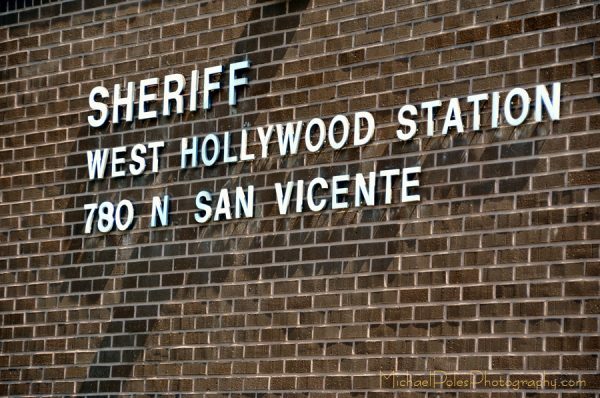 That data from the West Hollywood Sheriff’s Station is part of a report that will be presented to the City Council at its meeting on Monday. The report shows that the biggest percentage increase in serious crimes occurred in the Sheriff’s Station’s East District, where such crimes were up 43% over the same period the year before. The East District extends from Fairfax Avenue east to La Brea. The increase in crime in the East District came from an increase in Petty Thefts ( up 69%) and Other Burglaries (up 122%). Petty theft is the theft of property valued at less than $950. The petty theft increase was attributed largely to a surge in shoplifting (up 37%), with most of the shoplifting occurring in and around the Gateway shopping plaza. The increase in the Other Burglary category was caused primarily by burglars targeting bicycles and storage units in apartment parking garages. The Station’s City Center, which extends from La Cienega east to Fairfax, accounted for 21% of all serious crime reported. Thirty-two percent (157) of the 244 crimes in that area are attributed to theft, with 63 incidents of petty theft and 65 vehicle burglaries. The City Center saw a 57.1% decline in armed robberies, from seven in the first six months of last year to three in the same period this year. — Complaints from residents of West Hollywood’s Eastside about a rise in crime appear to be substantiated by data that shows that serious crimes from January through June 2018 in that area increased 43.4%. That compares with an increase of 22.6% in the Center City and 14.4% on the Westside. Despite the increase in crime on the Eastside, the Westside remains the area with the most serious crimes, with 501 reported in first six months of 2018. There were 244 reported in the Center City area. — Incidents of arson, while relatively few, showed the biggest percentage increase in all categories of crime. Eleven were reported in the first six months of this year, an increase 450% from the first six months of 2017. — From January through June 2018, 153 homeless people were arrested. These figures refer only to individuals arrested and do not take into account that many homeless people were arrested multiple times during this time frame, the report states. — The number of residential burglaries has remained relatively steady over recent years. There were 64 reported in the first six months of this year, compared to 57 in the same period last year and 65 in the first six months of 2016. — The surge in vehicle burglaries this year, with 220 reported in the first six months, mirrors that of last year, when 227 were reported. By comparison, there were 124 reported in the first six months of 2016 and 109 in the first six months of 2015. — Crimes considered to be less serious (dubbed “Part II Crimes” by law enforcement) constituted the largest number, with 1,402 reported in the first six months of the year, an increase of 23.1%. The largest number of those crimes (378) are designated “vehicle/boating laws” crimes, which is a reference to violations of driving laws such as speeding. — Narcotics arrests (designated Part II crimes) were up 44.2% to a total of 155 in the first six months of the year. The vast majority (86%) of those arrests were for possession, sale or use of methamphetamine, a highly addictive drug that is popular among some in the gay community. The 133 arrests for methamphetamine compare to 20 for cocaine, seven for heroin and eight for marijuana. The report to the City Council says that “Based on information obtained through Crime Stoppers, citizens and confidential informants, there have been arrests of narcotics dealers and users who live in the West Hollywood area. The L.A. County Sheriff’s Department’s Narcotics Bureau has been reconfigured into regional teams, with West Hollywood now part of a two person team that also covers the Santa Clarita and North Hills Sheriff’s stations. — The report includes information not previously made public about significant arrests by the Sheriff’s Station’s Detective Bureau. One was “the arrest of two men for armed robbery and kidnapping in which the two suspects would drive around the nightclub areas of the city, posing as rideshare drivers and targeting intoxicated men as their victims. Once inside the vehicle, the victims were taken to local ATM’s and forced to withdraw money. In addition to the money withdrawn from the ATM’s, the victims had their wallets, cell phones, and any jewelry on their persons taken. “After identifying and arresting the primary suspect, a search warrant was served at the home of the second suspect and several firearms were recovered . It is believed the firearms were used by the suspects during the commission of their crimes. A total of eight cases were linked to the suspects and a confession was obtained from one of the suspects. The City Council will meet at 6:30 p.m. on Monday at the City Council Chambers, 625 N. San Vicente Blvd., south of Santa Monica. Parking is free in the adjacent five-story structure with a ticket validated at the Council meeting. It doesn’t matter how much we pay the Sheriff’s Department. There is no correlation between the cost of police protection and the crime rate. We do need more enforcement of laws (especially the cell phone and driving laws and speeding – write those tickets!). We do need a Sheriff’s substation on the East Side. We do need more Deputies on the street at night, not just on the Blvd, but patrolling the residential areas also. We do need more Russian speaking Deputies. With the rash of car burglaries, the Sheriff’s Department should be deploying many more patrol cars and unmarked cars in the heavily hit areas. We aren’t seeing a coordinated effort to stop this. don’t forget our city pays over $18 million a year for our Sheriff’s Department and crime is up? Well obviously if correct about the figure, $18 Million dollars is not enough money for adequate law enforcement for our City. Are we the Titanic. Over building, more bars, less parking ….. The enormous tax revenue from bars, restaurants, clubs and the HOTEL Tax on such expensive high end Hotels is an ENORMOUS INCOME STREAM FOR SUCH A SMALL SIZED and 30,000 resident City. Or do we build the Amazing Looking Titanic and not waste money on more Sheriff’s facilities … They are built to look nice. They are a small prison, and hold an arsenal of very lethal weapons. But maybe the fancy hotels, the cool clubs and fancy restaurants might fear the sight of too many Sheriff’s on patrol is a sigh of a dangerous neighborhood. I think only EMT/Ambulance resources is possibly more important than THE SHERIFF’S LAW ENFORCEMENT (and insurance pays most/some Ambulance Rides and Cedars is less than a mile, so I guess SHERIFF FIRST – no matter the cost. The individuals running this City should be ashamed of themselves! STOP worrying about building more condos and high-rises and START protecting the residents who pay a fortune to live here! It’s outrageous! We must insist on more police visibility, more daytime and evening patrols and more serious attention paid to complaints from the Sheriff’s department. What will it take?! Crime is up and yet we’re having more parades! Let’s focus our time and energy on matters of real importance and let’s start making this number trend down. We no longer feel safe walking our own streets as we once did. I can live without a parade. Let’s put more money into getting sheriffs to walk the Blvd. on the weekends. Or how about a small sheriff’s kiosk in the heart of Boystown?! There’s a sheriff station in boys town. How long have you lived here?